Alex, left, and Jaciel, right, practice their reading skills with the help of Basalt High School teacher Leticia Ingram. 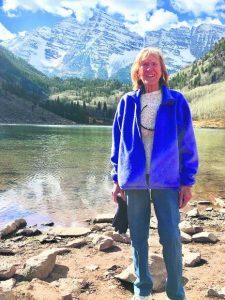 The Post Independent continues its occasional series looking at the impact of the area’s large immigrant population, this time focusing on the challenges and some of the success stories in Roaring Fork and other Garfield County schools. Roaring Fork schools saw a notable shift in demographics around 2011 that puts the lower Roaring Fork Valley School District in a unique class. For the first time that year, minority students as defined on a broader scale, and specifically Hispanic students, had become the majority in public schools serving the communities of Glenwood Springs, Carbondale and Basalt. As of the most recent figures, 55 percent of RFSD students are Hispanic, 42 percent are white and the remainder are from smaller ethnic groups, according to the most recent data reported to the Colorado Department of Education. And the vast majority of those students were born in the United States, making them U.S. citizens, even if their parents and other family members may still be undocumented, he noted. Just since August of this year, the district counted 212 new students whose households speak a primary language other than English. Mostly, that’s Spanish. Of those, 198 were born in the U.S., Stein said. Last school year, the district counted 330 new students who came from mostly Spanish-speaking families. Of those, 233 were born in the U.S., and 50 ended up leaving the district. “I’m not seeing any significant changes in terms of more people coming or going from previous years,” Stein said, adding that he had speculated the district might see a large exodus of students following recent immigrant status crackdowns in the first year of the Trump administration. In any case, it’s not a new demographic of students for area schools. The region has been home to many first-, second- and third-generation Latin American immigrant families for decades going back to the valley’s coal mining days, though in smaller numbers. Historically, western and southern Colorado were part of Mexico up until the mid-1800s, so Hispanic culture is actually deeper than that of the white settlers who came to the region in the late 19th century. More recently, area schools have seen a steady increase in their Hispanic student population since the 1980s, as the labor-intensive resort economy and the construction and service trades demanded more workers. Around the turn of the 21st century, some individual schools in Carbondale and Basalt saw their Hispanic enrollment grow to 60 or even 70 percent of the total student population in some instances. A variety of factors played into that, including the advent of charter schools that, at least initially, attracted more white students. By comparison, based on the most recent data, Garfield School District Re-2 (including schools in New Castle, Silt and Rifle) has a Hispanic student enrollment of 46.5 percent, and 34.7 percent of students in Garfield District 16 (Parachute/Battlement Mesa) are Hispanic. Roaring Fork Schools are most comparable to neighboring Eagle County Re-50 schools, which combined have a Hispanic student enrollment of 52 percent. 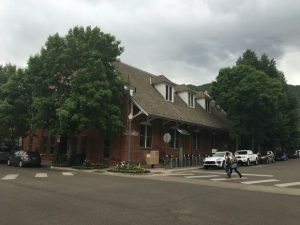 Standing in stark contrast is the Aspen School District — epicenter of the many jobs immigrant workers are called to fill, but far too expensive to be able to house all those workers. 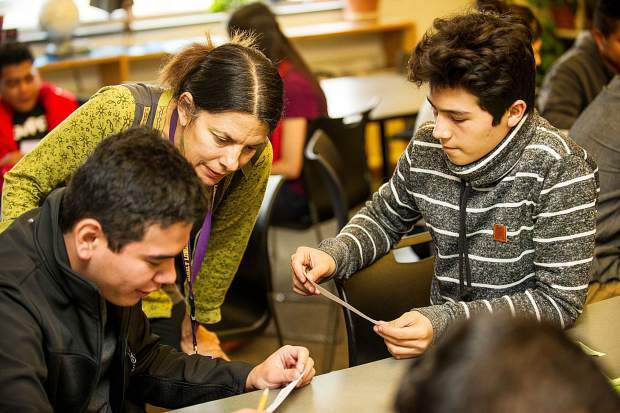 Just 12 percent of the student population in Aspen schools is Hispanic. Schools in the downvalley communities where most immigrant families have settled face challenges similar to urban schools in Denver and other large cities. Especially given the large numbers of more-recent immigrant students who are just learning English, there’s a huge need for specialized instruction. Poverty for many of those families adds to the challenge. In the Roaring Fork District, about 33 percent of students are classified as English Language Learners (ELL). Although not specific to ethnicity, 39 percent of the district’s students qualify for free and reduced lunch, the education system’s best measure of poverty. Numbers are similar in Eagle County schools, where 33 percent of students are ELL and 42 percent qualify for free and reduced lunch. In Garfield Re-2 and District 16, 21 percent and 18 percent of students, respectively, are categorized as ELL. But, the poverty level is greater in those districts, with 53 percent of Re-2 students and 58 percent of District 16 students qualifying for free and reduced lunch. 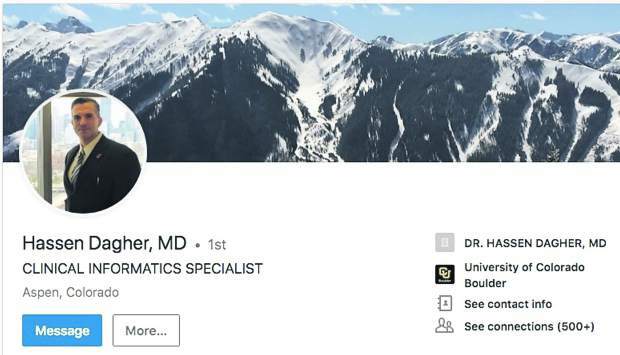 Again, by contrast, just 18 percent of Aspen students are ELL and only 4 percent qualify for free and reduced lunch, according to the most recent figures reported to the state. A large population of second-language students comes with a price tag. Beyond the usual building-level staffing allocations that occur every school year based on student enrollment, extra allocations are made for schools based on the number of “non-English proficient” or “limited proficient” students, explained Shannon Pelland, chief financial officer for Roaring Fork Schools. It essentially amounts to an extra staff person for every 18 or so students who fall into those categories, she said. This year, those extra ELL positions are costing the district about $3.8 million for those supplemental staffing allocations, or about 13 percent of the district’s teaching staff budget. Standardized test scores continue to lag for second-language students in the local schools, and there’s a large achievement gap between different groups of students based on language and ethnic distinctions. Only 43 percent of elementary and middle school ELL students taking the standardized English Language Arts test in Roaring Fork Schools last spring met or exceeded proficiency standards, while 51 percent of non-ELL students met or exceeded the marks. But Roaring Fork Schools are doing better than others in advancing second-language students from year to year, according to recent growth data for Colorado schools. It’s a higher growth mark than for Eagle County schools, which measured growth in the 45th percentile. It’s also higher than Garfield Re-2, which measured at the 42nd percentile; District 16, which measured at the 51st percentile; and even Aspen, which measured at the 47th percentile for ELL student growth in language arts. “It seems obvious that we’re going to see a gap in achievement between different groups of students for a variety of factors,” Stein said. Socioeconomics is a big one, he said. A variety of both internal programs, such as those provided by the school-based Roaring Fork Family Resource Center, and outside resources such as the Valley Settlement Project’s parent mentor program, are also available to provide support for area immigrant families and their children. The Roaring Fork District also has made an effort to hire a Latino family liaison in each of its schools, and has instituted a special Seal of Biliteracy for high school graduates who demonstrate fluency in two languages by the end of their senior year. 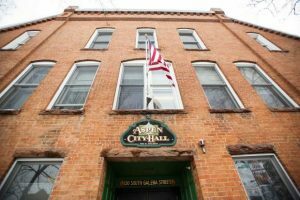 West Garfield County reporter and Rifle Citizen Telegram Editor Alex Zorn contributed to this report.